I’m going to talk about the health benefits of engaging with culture, first of all in general terms and then with specific reference to health inequalities. Talking about engaging with culture is useful way of understanding the opportunity to both access and to participate in culture. For example, opportunities to engage with dance would include attending a dance performance and taking part in a dance class: that’s access and participation as two forms of engagement. The aim of widening access and participation in culture has long been a policy objective of the Scottish Government. There’s a range of levels of engagement perhaps, just as there are varying levels of need and of course we are talking about a wide variety of opportunities to engage with culture – arts, museums, heritage, libraries, etc. 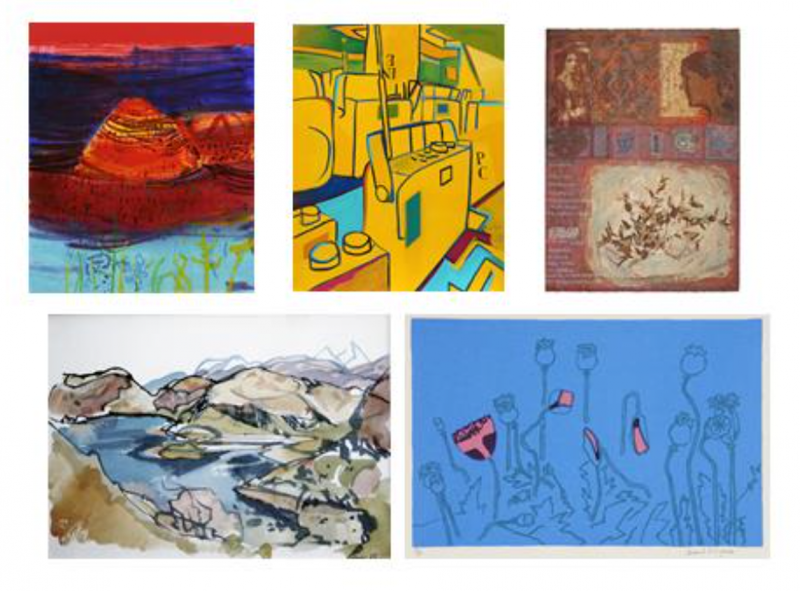 Those of us who work in the field of creative health – and there a number of people in the room here who have extensive experience of ‘art for health’ practice – have known about the health benefits of art for a number of years. There have been many studies, research, evaluation programmes, pilot projects and case studies. The evidence base includes some randomised controlled trials but most evidence is from good observation data documenting mental health outcomes such as reduction in depression. A range of psychological scales have been used to measure wellbeing including the Warwick-Edinburgh wellbeing scale which is one that Art in Healthcare uses for some projects. Testimonies can provide good evidence to evaluate impact through focus groups, participant observation and diaries. Economic analysis looking at cost- effectiveness of the arts in health and social care shows evidence of savings and avoided costs. Some of the specific benefits may relate to specific art forms and types of cultural activity and different types of engagement. For example, dance can have a benefit for physical as well as mental health. From our own work to evaluate the museum- quality art we display, we ask people how frequently they visit art galleries and around 50% of the patients we have surveyed to date at hospital sites say that they have never visited an art gallery. When hospital admission data is mapped to datazones, it is clear that people from the most deprived areas of Scotland are disproportionately represented amongst the users of hospital services. So it becomes possible to engage people with contemporary art who may not otherwise be engaging. The approach is very person-centred, asset-based and holistic. It chimes well with the Realist Medicine agenda. 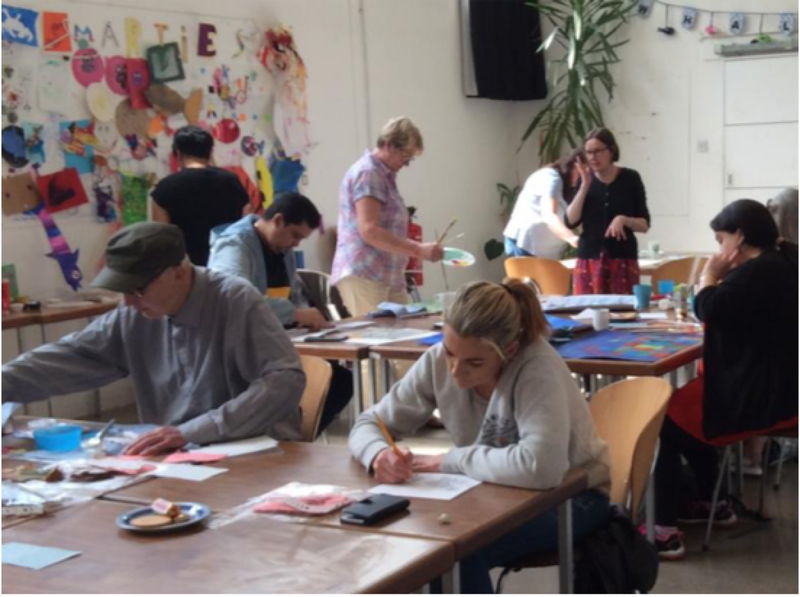 Thinking now specifically about health inequalities, I’m going to tell you about Art in Healthcare’s social prescribing project ‘Room for Art’ which is taking place in deprived areas of Edinburgh and is supported by the Big Lottery Fund’s Improving Lives programme. These are areas that are amongst the most deprived in Scotland based on levels of income, employment, health, education, skills and training, housing, geographic access and crime. Social prescribing is a model that can achieve significant health benefits, sometimes where other support and intervention has not been able to achieve success. 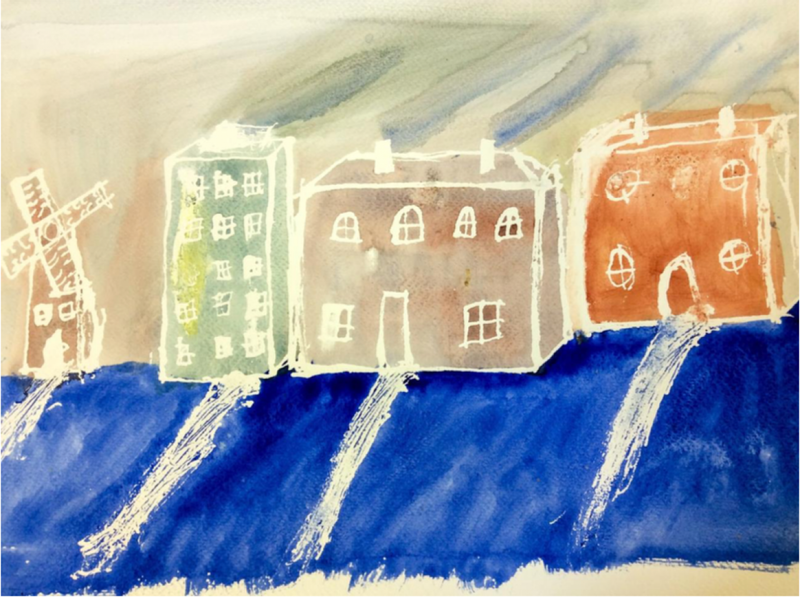 Also know as ‘art on prescription’ this is a model where art activity is accessed through a referral process, usually by professionals working in primary care, social care, housing and through a range of third sector agencies. A significant reliance on primary care – people visiting GPs frequently due to loneliness, for example. 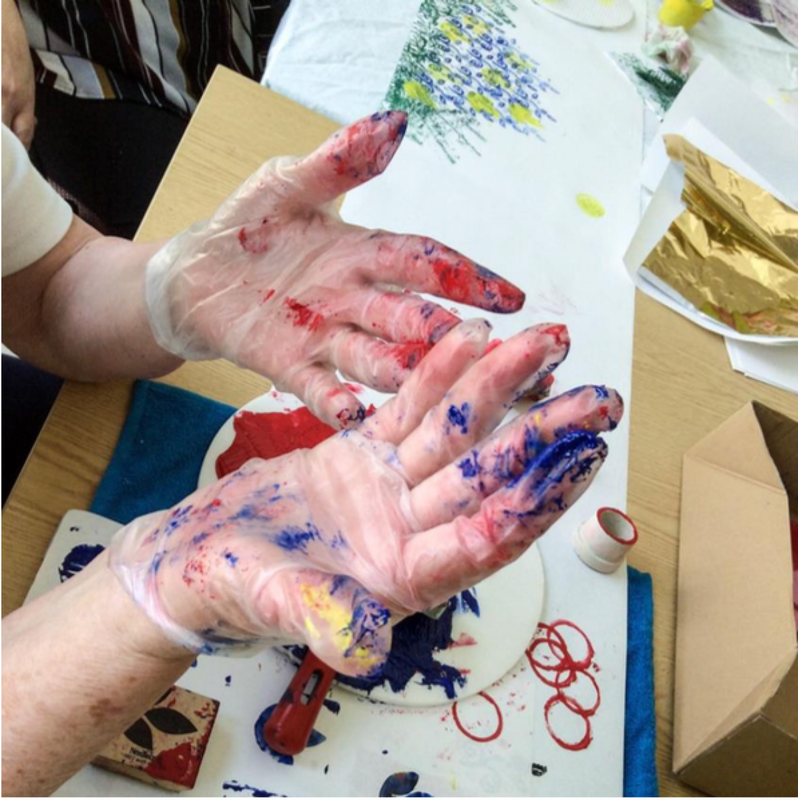 The art activities take place in community settings and are very much shaped by participants and their needs and we don’t know at the start what the outcome will be. It is important for us to focus on participant’s interests, on their strengths and what they can do, rather than focussing on the illness or issue that brought them to the workshops. We always stress that no experience of art is necessary for our workshops and most people that get involved have not done any art since school. For anyone, trying the ‘unknown’ and coming along to a group workshop for the first time it can be daunting, but this is especially true for those with health issues, particularly mental health issues. 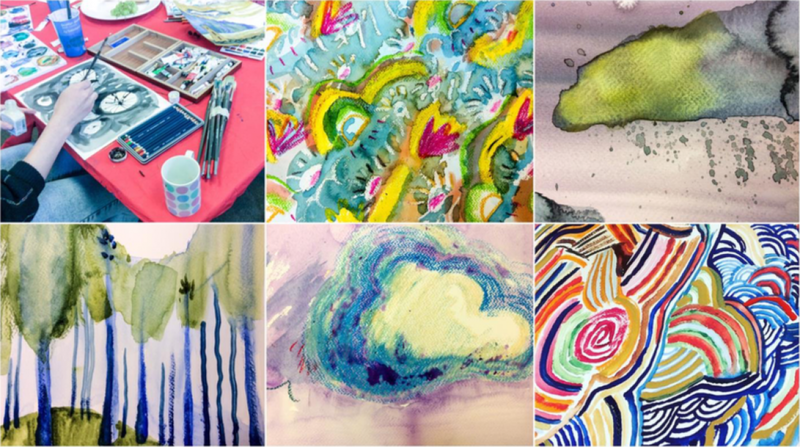 When we first piloted this project, we had no attendance at the first workshop; it was too big a jump to go from a referral to a community venue to meet an artist and a group of strangers. We discovered that we needed a stepping stone. To combat the barriers to taking part we now hold one to one sessions with each participant prior to starting the workshops using an approached based on occupational therapy practice to set personal goals and allay fears about what to expect. We are one year in with our Room for Art project which we first developed in 2015 through a pilot study supported by Headroom - this was a Scottish Government programme for GPs working in areas with concentrated economic disadvantage. 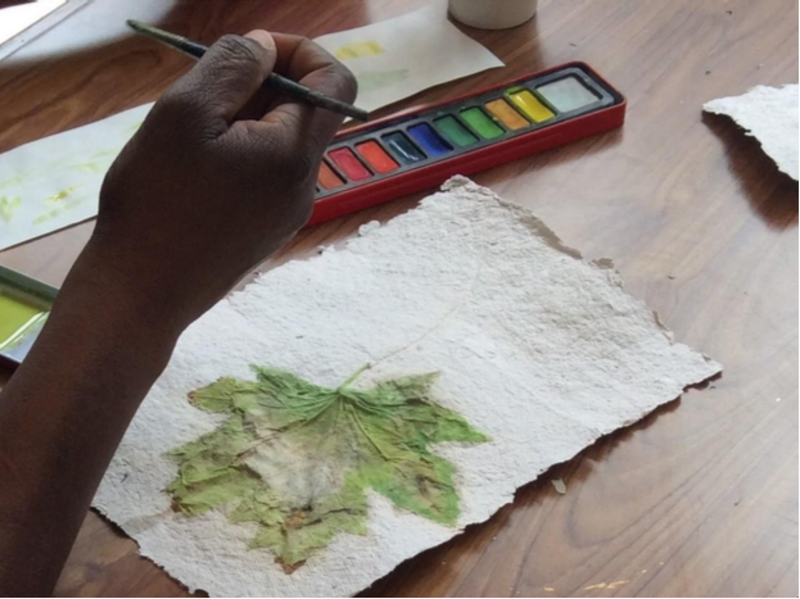 Our aim is to achieve positive outcomes for all of our participants and empower people to sustain impact by developing coping strategies using art and inspiring long-lasting health improvement. We are seeing significant changes in the lives of participants such as improved confidence, reduced stress and anxiety and reduced social isolation which we are finding is already leading to participants being more resilient and better able to self-manage their conditions. To conclude I’d like to point to the recent cross-party parliamentary report ‘Creative Health’ which was based on over two years of extensive work as a major inquiry into the role of the arts in relation to health and wellbeing. The report takes a very in-depth look at this issue and concludes that it is time to recognise the powerful contribution the arts can make to health and wellbeing. The report is over 150 pages long, but there is also a short 12 page version and I highly recommend giving it a read. The section on health inequality concludes that engagement with the arts can play a role in mitigating health inequalities. Evidence has shown that engagement with the arts can influence maternal nutrition, perinatal mental health and childhood development; shape educational and employment opportunities and tackle chronic distress; enable self-expression and empowerment and help to overcome social isolation; and prevent illness and infirmity from developing or worsening.